Here’s a FACT: Your potential clients are searching for law firms with their smartphones and laptops. Make sure you have the right strategy to reach them. When an individual needs legal advice, they don’t open the yellow pages or look in the local newspaper anymore. They look online from their laptop, desktop, or most likely, their mobile device. And as the generations get older and become part of the consumer population, did you know that millennials check their phones more than 157 times per day? How about the fact that Americans spend an average of 5.2 hours per day online with the most popular activity being social networking? Are you where their attention is in this scroll world? 20 years ago, people went to printed periodicals for news and information. Now, they open up their chosen social media app on their mobile device, which is why businesses need to have a social media strategy, including legal professionals. 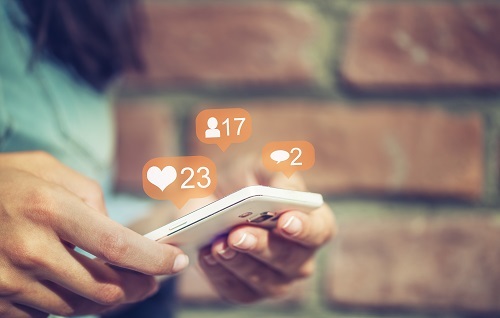 There are 1.65 billion active mobile social accounts globally with 1 million new active mobile social users added every day, so how are you going to reach them? Let’s start with the end in mind and work our way back to identify how to attract the right clients for your legal firm or law practice, even if you are a solo attorney. Before picking up the phone to call your office, your potential client first had to find your office phone number. While it is probably listed in a few places, let’s just say that this prospect found it on your “Contact Us” page of your website. However, before they could locate your “Contact Us” page, they must have first discovered your website. In this instance, let’s say they were looking for Before “Bankruptcy Law.” Chances are great that they plugged in a keyword phrase or term on Google on their mobile device while sitting in front of their TV. Perhaps, they searched, “bankruptcy lawyer Buffalo, NY.” Now perhaps they were researching articles, reading reviews, or clicked on an Ad link, the fact remains that they were SEARCHING for a solution to their problem. Perhaps, they asked a friend for a referral on social media. The digital marketing landscape is constantly changing. So a mobile-responsive website, blog, and/or content will convert a prospect into a lead, and you or your team must close this lead into a client, getting visitors and increasing traffic is vital to an inbound marketing campaign. Let’s look closer. A well-design website will have many Lifestyle shots for images. It will have pertinent videos, links to articles, blogs, vlogs, and podcasts. It’s becoming more and more necessary to have multimedia content for your law firm. Other top Informational pages should include information on the type of legal services you provide, as well as your experience/education/licenses. You should also post resources, testimonials, FAQs, appointment and scheduling information, as well as have interactivity to increase engagement, such as, quote request (lead form), ways to schedule an appointment, perhaps a newsletter signup, Google maps, social media feeds/follows, and a click-to-call feature for your mobile users. Being able to call your firm with a single button-push, or access any page of our website through a simple mobile navigation menu is so important in this fast-paced culture. If your website and navigation isn’t user-friendly on mobile, then it’s urgent to address your site’s functionality. 80% of attorneys believe content marketing is either important, or among the most important marketing strategy they can employ at their firm. (2014 State of Digital Content Marketing Strategy). “Your firm’s website works around the clock, 24 hours a day, seven days a week. It’s important that you have enough content on your [website] or blog that answers common questions related to your practice areas. This can help build trust and credibility, resulting in more leads and phone calls,” says Todd Tinker, founder of The Tinker Lawfirm, PLLC. And an increase in quality content will result in higher organic ranking on major search engines. 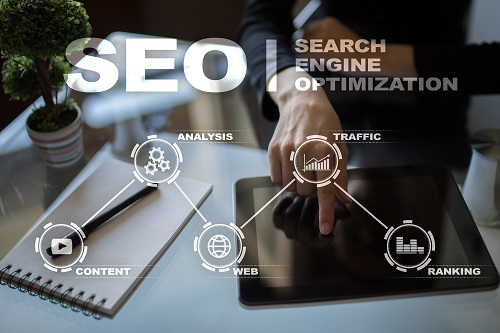 Search Engine Optimization, commonly referred to as SEO, is a process that ensures that your business ranks highly on search engines like Google and Yahoo. The goal is to maximize the number of website visitors through visibility on search engine results. A website is only effective if people can find it. “The fortune is in the follow-up,” said Jim Rohn. It is no different in digital or online marketing strategies. Whether you have some automation in place or something manual, the most important thing is to be able to follow-up with incoming leads (web form, email, social media, or phone calls). Most people aren’t willing to sign a retainer on their first interaction, which means you must have multiple touch points with each candidate. “When a potential client submits a lead form, there is a good chance that they are in need of legal assistance sooner than later. You can’t be afraid of being overly aggressive with your follow-up sequences. You need to touch your leads the very next day and then multiple times again over the first week,” suggested Gary Matthews, principal at Gary Matthews Personal Injury Solicitors. Contacting leads immediately is of supreme importance, because most individuals that need to consult an attorney or legal professional are in urgent need for legal advice. If you don’t make contact the first time, set-up an email to follow-up again within 24 hours, and then continue daily for at least a week until the prospect is reached. No law firm or legal practice can ignore Google AdWords. Google is the number one search engine with more than 3.4 Billion searches per day! People who require immediate attention search Google for the fastest, most relevant, and local results. The biggest opportunity, especially for law firms, is Google’s call-only ads. “More consumers are using their mobile devices to perform searches, and with the high costs associated with legal keywords, call-only ads ensure that every ‘click’ you pay for results in a phone call,” explained Marc Yonker, partner at Winters & Yonker. Facebook is the largest network with more than 2 billion monthly users. With this being the number one activity on a mobile device, lawyers and law firms can’t deny there is a large audience available. Beyond the number of users, it’s the targeting that is provided to paid advertisers that makes this an incredible place to allocate some marketing dollars. Your practice’s ads can be placed in front of local users that might be in need of the services they offer, either presently or down the road based on demographics and profile data that you can search and select. So while you may be looking to increase lead generation, it is also a great way to build brand awareness for those that may potentially require your services in the future. People rely on reviews to make buying decisions. Online reputation management is about improving or restoring your name or your brand’s good standing online. Yet, it could be as simple as understanding where your business is listed and the information that is posted. Web directories (such as Yelp, manta, lawyers.com and more) exist to list businesses and drive traffic to them in hopes to charge for advertisements or premium listings. While you may or may not want to advertise on the hundreds of sites available, claiming your business listing is critical. In a Constant Contact survey, more than 46% of businesses never checked their business listings, and more than 50% of the listings had incorrect or missing information! However, 72% of legal firms monitor their online reputation on a regular basis. (Legal Market Survey Report, Avvo & LexBlog), which is important to stay on top of. knowing and maintaining a positive online reputation. This includes what is said on social media channels as well. What marketers love more than anything about digital marketing strategies is the ability to measure, track, and determine what marketing or advertising is working or not. This allows for improved budget allocation, as well as where to make improvements. 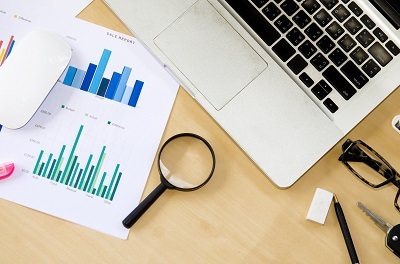 From Google AdWords to SEO, to email and social media advertising, reporting is an important part of the marketing equation, and it is all available. 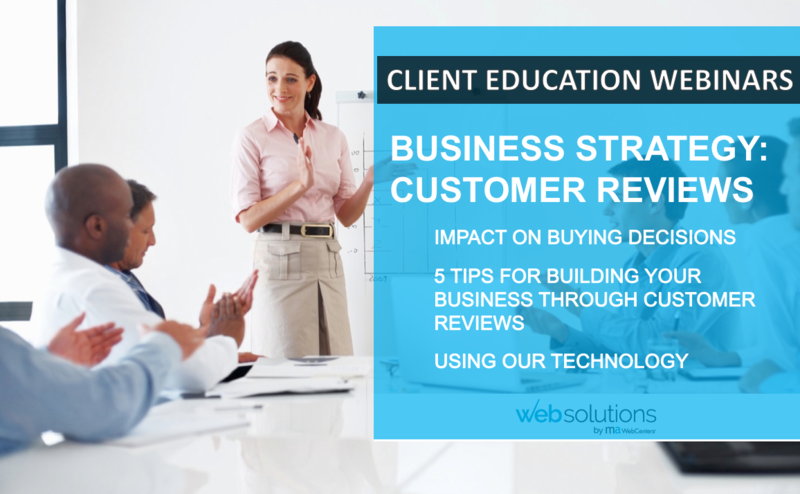 Your firm can identify what is truly providing the highest ROI? With marketing and advertising becoming so fragmented, you can easily waste time, money, and resources if you are not tracking your digital marketing initiatives. Remove underperforming campaigns, or identify if it is a budget issue. Run test campaigns, add landing pages to your website, track visitors and call logs to see what’s working and what’s not. There is a lot of data available, so make sure you learn how to analyze it and make changes that benefit your effort,” suggested Michael Tario, founder of Tario & Associates. Running Facebook ads and Google pay-per-click campaigns isn’t cheap, and simply driving traffic to your website is only part of the formula. You need that traffic to convert, either into warm leads via a form submission or a phone call to the firm. Use your blog as a way to highlight your firm’s expertise by answering common questions and showcasing past success stories. You can even take it a step further and publish case studies that a potential client can download by submitting a lead form. Generate video or perform Live Video through Periscope, Facebook Live, submit Stories to Facebook or Instagram, or publish articles as a thought-leader on LinkedIn. The fact is that there is more content available to consumers than ever before in world history. So how do you stand out? Context. Fresh, relevant, contextual, information you provide as an expert in your field to the local consumers is what can increase leads to your law firm. Provide valuable content, make it easy to find on your blog and website, and engage with your prospects and clients through social media and email, and you can reduce the amount of money you spend on paid advertisements that offer little to no measurement on its effectiveness. And if you find that you need to increase traffic, you can run paid ads to your landing pages, blogs, website and track it to see what ads are working or not. It seems complex, but the marketing funnel and lead generation in online marketing system is simple: drive traffic from sources of people who are looking for services you provide to a location where they can not only gather important information but also contact you for your assistance. Digital strategies are a must, because it is where people are researching, socializing, and making decisions. If you’d like a FREE CONSULTATION, we’d love to learn more about your law firm and strategize together how to improve visibility or fill-in any gaps in your marketing strategy. Contact us to arrange a 10-15 consultation and assessment.